OSMONDS WILL END THEIR FLAMINGO RESIDENCY: For the past few years, Donny and Marie Osmond have toyed with ending their residency at the Flamingo, which ironically began in September 2008 as a six-week engagement. Individually each sibling has other projects especially Donny with his home furnishings line, recently coming in second as a peacock on the first season of “The Masked Singer,” and plans to release his 62nd album when he turns 62 in December. Their final performance will be Nov. 16 this year. Their departure will also mean an esthetic change to the Flamingo’s façade, which has been wrapped with the duo’s smiling faces for years. JIMMY KIMMEL BRINGS HIS TALK SHOW TO ZAPPOS THEATER: For the first time, ABC’s “Jimmy Kimmel Live” is heading to Las Vegas for five original shows April 1-5 and will tape in front of a live audience at Zappos Theater inside Planet Hollywood. Kimmel’s guests for the week will include: Tiffany Haddish, Kevin Hart, Seth Rogen, Kardashians – Kim, Kourtney and Khloe, Celine Dion, The Killers, James Taylor, Marshmello featuring CHVRCHES and more. HIGH ROLLER TURNS FIVE ON SUNDAY, MARCH 31: The High Roller (HR) at The LINQ Promenade, the world’s tallest observation at 550 feet, changed the Las Vegas skyline five years ago March 31, 2014. For its fifth birthday, the HR Wheelhouse, the wheel and five cabins, which will be filled with large-scale games to play during the 30-minute rotations, will be decorated, and special offers will run Friday, March 29 through April 30. The $50 High Roller 5th Birthday Package will include: an anytime ticket; HR Commemorative Book; Rock-N-ROLLER cocktail inside The Sky Lounge, which guests can purchase separately for $10; and photo. Over the birthday weekend March 29-31, youth (7-17) tickets will be $5 and free for children six and under.Since opening, the HR has had 450 weddings, 55 proposals,10 gender reveals, and rotated 63,030 times. 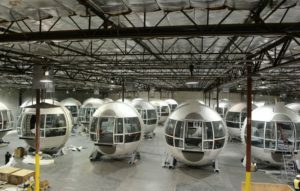 Each of the 28 HR cabins can hold up to 40 people, weighs 44,000 pounds, and measures 22 feet in diameter. Simultaneously, 1,120 people can ride the High Roller. NEW WILLIAM HILL SPORTS BOOK OPENS AT THE STRAT: The STRAT Hotel, Casino & SkyPod in partnership with William Hill, the leading bookmaker in America, recently celebrated the grand opening of the William Hill Sports Book featuring the latest betting technology and a 110-foot wraparound high-resolution LED screen. William Hill PLC is one of the world’s leading betting and gaming companies, employing more than 16,000 people. In 2012, it established William Hill US with a focus on retail and mobile operations in Nevada, which is now the largest sports betting business in the USA. 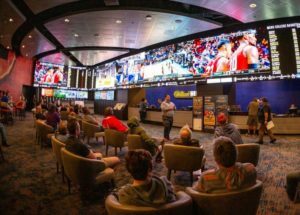 William Hill US currently operates 115 race and sports books in Nevada and the state’s leading mobile sports betting app. 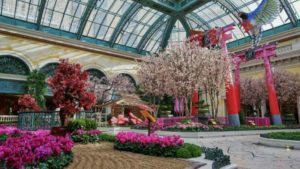 BELLAGIO CONSERVATORY FEATURES SPRING DISPLAY: The Spring display at the Bellagio Conservatory is running through June 15. Each season, the horticulturalists and designers team transform the magnificent 14,000-square-foot floral display into a themed showcase. When a season turns, the garden changes and 90 percent of the trees, flowers and plants in the conservatory are recycled. The 2019 Spring Show is highlighting the beauty of spring in Japan. Guests step through two large two large torii gates. The East Bed features a row of cherry blossoms representing the beauty and brevity of life. The North Bed has two red-crowned Japanese cranes designed after the famous Japanese painting, 100 Fountain Views of Edo-Hiroshige Cranes 1857. The West Bed has a towering replica of the Osaka Castle, which is one of the most iconic and historic castles in all of Japan. It has been chosen to host the 2025 World Expo, with MGM Resorts Japan as a supporting partner. 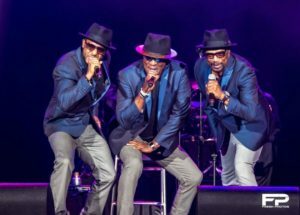 GAPX THE BAND AND THE DAZZ BAND PERFORM AT ALIANTE: GapX The Band and The Dazz Band will bring rhythm, funk and R&B hits to the Access Showroom at Aliante on Saturday, April 13 at 8 p.m. Tickets start at $35. Rhythm and funk tribute band GapX The Band performs impressive renditions of the original The Gap Band’s top hits, including “Outstanding,” “You Dropped a Bomb on Me,” “Early in the Morning,” “Yearning for Your Love” and more. The Dazz Band was the first R&B group from Cleveland, Ohio, to win a Grammy Award for Best Performance by a Group or Duo for their hit song “Let it Whip” in 1982. Throughout the group’s career, The Dazz Band has scored 20 hits on the Top-100 R&B charts between 1980-1998, and performed on popular music television shows, including “Soul Train,” “Solid Gold” and “American Bandstand.” The group’s lineup includes Skip Martin, Bobby Harris and Donny Sykes. DOWNTOWN EVENTS CENTER HOSTS ‘MICHELOB ULTRA DRAFT PARTY’: The Downtown Las Vegas Events Center (DLVEC) will partner with Michelob Brewing Company to host “Downtown Watch Zone Presents: Michelob Ultra Draft Party,” a professional football draft celebration on Thursday, April 25. DLVEC will offer fans for a cost stadium-style seating, Man Cave rentals, food from American Coney Island and more. Doors open on Thursday at 4 p.m. and draft begins at 5 p.m. Event admission is free and open to ages 21 and over. ORLEANS HOSTS GOSPEL MUSIC AWARDS: The 34th Annual Stellar Gospel Music Awards returns to the Orleans Arena March 27-29. 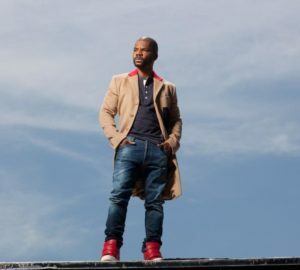 This year’s host will once again be 12-time Grammy Award-winning and multiple Stellar Award-winning gospel singer Kirk Franklin. The schedule in the Orleans Showroom includes: March 27 – Independent Artist Showcase at 6 p.m. tickets $25; March 28 Stellar Gospel Music Awards Pre-Show at 7 p.m. sold out; and March 29 Stellar Gospel Music Awards Announcer’s Showcase at 10 a.m. tickets $35. Use code TMN24 and you can get a buy one-get one free ticket offer. Tickets for the 34th Annual Stellar Gospel Music Awards at 6 p.m. at Orleans Arena start at $50. TOWN SQUARE HOSTS 29TH ANNUAL AIDS WALK: Aid for AIDS of Nevada’s (AFAN) 29th annual AIDS Walk Las Vegas will be held Sunday, April 7 at Town Square starting at 7 a.m. For the 18th consecutive year, Penn & Teller will serve as grand marshals and encourage their challenge matching every challenger’s $250+ dollar for dollar. The top challenger will be awarded AFAN swag and other prizes, including tickets to various shows. There will be entertainers on hand including cast members from Fuerza Bruta, WOW World of Wonder, Legends in Concert, Naked Magicians, Human Nature, Chippendales, as well as Piff the Magic Dragon, Lady Luck vocal group, Las Vegas Kaminari Taiko Drummers, and a singing performance by Katch Gray. People of all ages are encouraged to participate. Registration is free and attendees are encouraged to form a team and fundraise. 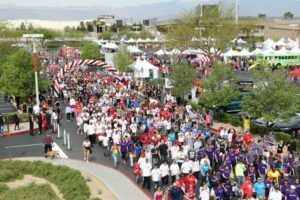 As AFAN’s largest fundraiser, last year’s walk saw more than 3,000 walkers and raised over $250,000 to support critically needed HIV/AIDS services and prevention programs. BURLESQUE HALL OF FAME PRESENTS ‘ANNIVERSA-TEASE!’: The Burlesque Hall of Fame (BHoF) is celebrating the first anniversary of its new museum on Main Street with a burlesque benefit show “Anniversa-Tease!” on Friday, April 12 at Ron DeCar’s Event Center at 1201 Las Vegas Boulevard South. Dinner is at 5:30 p.m. with the show at 7 p.m. Dinner tickets are $49 VIP Plated / $39 VIP and $29 for General Admission. The burlesque talent lineup includes: Bettina May, “The Pinup You Want to Pin Down;” Charlie Starling, “The British Bird Ahead of the Curve;” Cora Vette, “The Mouth of a Sailor, the Voice of an Angel;” Darby Fox, “The Voluptuous Vulpine;” Egypt Blaque Knyle, “The Black Siren;” La Rosa Muerta, “The Spanish Rose That Will Knock You Dead;” and Ms. Tickle, costumer and BHoF title-holder. Featured burlesque legends will be Lovey Goldmine and Marinka “Queen of the Amazons.” Lovey Goldmine started singing with The Scatman Carothers Trio at age of 17, before entering burlesque at 21. In 1970, she traveled to Paris where she became a performer at the world-famous Crazy Horse Saloon. Marinka has worked in burlesque since the 1960s. After studying under the mentorship of Rose La Rose, Marinka went on to perform in in Ann Corio’s “This Was Burlesque” and the 1979 Bob Fosse film “All That Jazz.” BHoF located at 1027 S Main St, #110 is open Tuesday–Saturday, 10 a.m.-6 p.m., and Sunday noon-4 p.m. Admission is $15, $12 with Nevada ID, and $10 for students, military and seniors. The 15th Annual Rock the Troops Poker Run produced by American Legion Paradise Post 149 will take place Saturday, April 6 to raise money for Nevada’s military and veteran community. The day-long ride begins and ends at The Leatherneck Club at 4360 Spring Mountain Road with live music and food provided by John Mull’s Meats and the Road Kill Grill. There will be a weapons raffle, 50/50 and other raffle prizes with drawings beginning at 3 p.m. The high poker hand will win $400 and low hand $100. It’s $25 to register the day of the event and open to all modes of transportation. 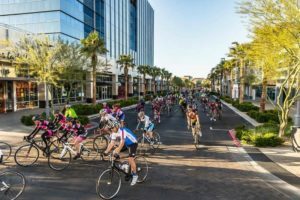 The Wellness Festival will take place at Downtown Summerlin on Saturday, April 13 from 9 a.m. to 4 p.m. on The Lawn with the 18th annual Tour de Summerlin, Southern Nevada’s longest-running non-competitive cycling event, and ninth annual Summerlin Half Marathon kicking off the daylong event, which includes Downtown Summerlin’s farmers market. The festival includes health screenings, children’s activities, and free fitness classes throughout the day. Both the Green Valley and Summerlin Life Time clubs will start the pool season with Slime & Splash children’s events from noon to 3 p.m. on Saturday, March 30. The next event will be the annual Puppy Fun Run at Green Valley on Saturday, April 6 at 9 a.m.
PAHRUMP PLANS OUTDOOR EVENTS IN APRIL: Pahrump located an hour’s drive west of Las Vegas has events planned in April.The Audi Club Southern California Chapter is hosting a three-day gathering where drivers can develop their skills with one-on-one coaching from an experienced crew at Spring Mountain Motorsports, Friday-Sunday, April 5-7 starting at 5 p.m. Student registration fee is $575 through March 29. The 20th Annual Art & Sol Festival hosted by the Pahrump Art Council is scheduled Saturday, April 13 from 10 a.m. to 5 p.m. in Petrack Park. Event is free. Artists and craftsman will be displaying and selling their work. An Extension Gardener Program, a four-day certification course, will take place April 18-19 and 25-26 from 9 a.m. to 3 p.m. at 1561 East Calvada Boulevard. Cost is $50, which includes books, publications and class materials.The Monster Truck Insanity Tour will feature the biggest monster trucks and some entertaining events on Friday-Saturday, April 19-20 with an autograph party at 5:30 p.m. and shows at 7 p.m. at the Petrack Park Rodeo Arena. Presale tickets are $20 adults, $10 children ages 3-12, and at the gate $25 and $12. 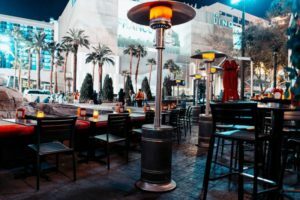 Smoked Burgers & BBQ at The Forum Shops at Caesars Palace has opened its new outdoor Strip-side patio, which can seat 40 guests at 16 tables wrapping around the Trevi Fountain. The al fresco dining area includes a full bar as well as an outdoor satellite bar located right on the sidewalk serving up cold beers to passersby. The 1500-square-foot patio features two large-screen TVs. Therapy restaurant Downtown will celebrate the final season premiere of the HBO TV series, Game of Thrones, with a new themed cocktail, The Jon Snow available only on the day of the premiere airing Sunday, April 14. The Game of Thrones-inspired libation will feature rum, Godiva white chocolate and orgeat topped with golden whipped cream and a raspberry, priced at $10. Also, Therapy will honor all active-duty military and veterans during Military Appreciation Month with a 20 percent discount through May on all food and drinks. 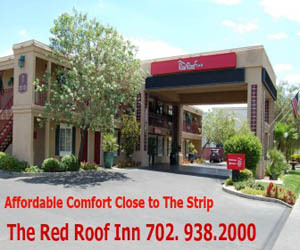 Throughout the entire year, the restaurant offers an ongoing 10 percent discount. Pancho’s Mexican Restaurant in Downtown Summerlin is celebrating college hoops with game viewing and food and drink specials from Tuesday, March 19 through Monday, April 8. Mexican baja wings platter is $15.95, drink specials include $3 off well drinks, $3 off house wines, and $3 off flavored margaritas, as well as discounted appetizers. A guest presenting a valid betting slip from any local sportsbook may receive one complimentary Zima Clearmalt while supplies last. Brothers David and Michael Morton’s luxury steakhouse, MB Steak at Hard Rock, will celebrate Passover with a dinner available Friday, April 19 through Saturday, April 27. The Passover menu of braised brisket, served with roasted carrots, marble potatoes and horseradish gremolata will cost $42. 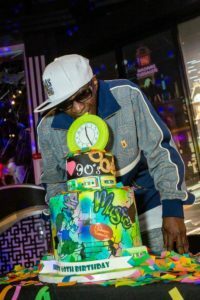 Madame Tussauds Las Vegas is celebrating 20 years on The Strip and kicked-off its birthday celebration with the launch of an all-new ‘90s pop-up experience alongside legendary rapper and television personality Flavor Flav. Dressed in head-to-toe swag, ‘90s icon Flavor Flav posed for photos with his signature clock around his neck. Madame Tussauds surprised the rapper with a birthday cake. A new happy hour started at the Mermaid Lounge inside the Silverton from 5–7 p.m. daily. Happy hour includes buy one, get one free on any bottled beer, house red or white wine and well liquors. Buckets of Miller Lite are available for $20 and shots of Crown Royal, Fireball or Jagermeister for $5. Menu items are available from $3. Henderson, Nev., is replacing its 20-year-old tourism logo with a new one with the city’s name in blue script and the tagline “So much. So close. So Nevada.” A refresh of the VisitHenerson.com website will be a part of the new promotional campaign. 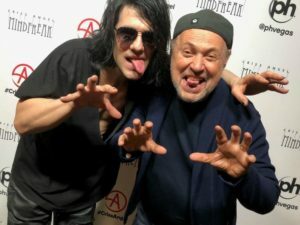 Actor/comedian Billy Crystal caught a performance this month of Criss Angel MINDFREAK® at Planet Hollywood. The “When Harry Met Sally…” star was impressed. Maryland resident Kenneth Snoots won a jackpot of more than $1 million playing Mississippi Stud and hitting a royal flush at Bally’s. Recently gaming giant Caesars Entertainment introduced more ways to win with linked table games jackpots across the entire state of Nevada including Blackjack, Pai Gow Poker and Poker derivatives. In the last nine months, Caesars has awarded six table games jackpots exceeding $1 million across multiple Nevada properties. Hairdressing industry organization, Intercoiffure America Canada (ICA), and luxury haircare brand Kérastase will celebrate COLOR- A Salon by Michael Boychuck inside Caesars Palace as the only ICA recognized salon on the Las Vegas Strip on Saturday, April 6 from 7-9 p.m. while Kérastase gives an inside peek at exciting new products.